Conference calling is easily one of this generation's biggest strides forward towards bridging the communication gap—or very well eliminating it altogether. This is certainly the case where businesses are concerned. With unparalleled connectivity, crystal clear connections, and competitive rates, web conferencing providers now allow businesses to connect to partners, teams, agents, and customers from all over the world without having to incur the expense of travel, conference costs, and pricey phone plans. Indeed there are a lot of software brands contending for your business, so how does a smart executive choose which provider to use amidst the sea of competition, slogans, and promises? 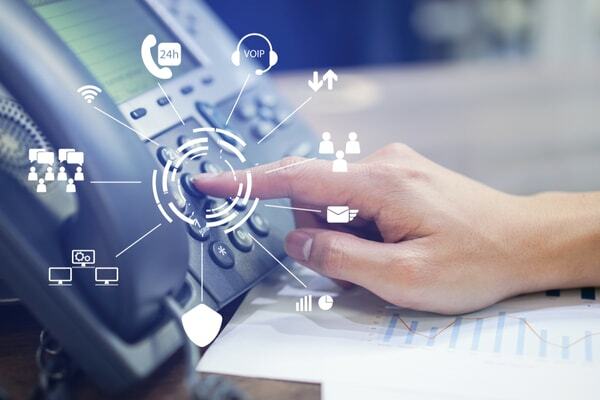 From Vonage to RingCentral​ to ZenPhone, let's take a good look at some of the top names in the industry along with their benefits and disadvantages, pricing plans, and offers, so you can get a better sense of which one is the best fit for your business. What is Free Conference Calling? If you’ve ever used apps like Skype, Glide, or FaceTime, the idea of video based communication isn’t new to you. Via a conference bridge, a dedicated server that allows multiple callers to dial into the same number simultaneously, anyone who has the access code can tap into your conference call. Quality VoIP providers will also have this service built into their packages, and this is the more convenient and quality choice. The idea is that you can be connected to any number of people you want without the restraints of geographic location. So, your marketing staff in New York can have a meeting with the sales department in Boston and the writing crew in Beijing without ever hopping on a plane, just by clicking on a few buttons. Small businesses can broaden their reach, easily and economically calling customers from far away. They can also keep connected to staff members even when someone is out of office. On top of that, there are free video chat options, so you can chat with individuals about a more specific project or topic without involving the entire office. It’s fast, it’s easy, and it’s free. While there are many of these services for a fee, there is free software that will give you this service without pay. Why you should be paying for the service when it’s available for no charge is something we’ll discuss below. While this isn’t everyone’s concern—and probably not the first thing that comes to mind when you think of video conferencing—taking care of the environment is a smart and responsible business practice. Just think of all the fuel, paper, and other nonrenewable resources being saved by staying put and conferencing directly over the computer. It doesn’t take a leap of the imagination to understand the tremendous cost savings created by video conferencing. Rather than flying out your top agents to far-flung corners of the world, you can arrange client meetings, board meetings, and other face-to-face communications without your team ever leaving the office. That means you save on airfares, hotel accommodations, travel expenses, and the costs of running and holding a meeting. Additionally, you save valuable time and money on employees’ travel time, so they’re actually at their desks working rather than spending hours on flights, commutes, and arrangements. • Slideshow and reading material sharing: Share material while presentations are being delivered. • Picture uploading: Upload images that are relevant to the meeting, project, or subject of the conference call. • Large file sharing: Share files that are important for team members to have or reference. • Note taking: Note taking is one of the greatest innovations of business video conferencing. While you chat, take notes on screen or in line with the meeting platform, so you aren’t constantly switching back and forth from one program to another to get down those key highlights, comments, or pointers you’ll need to finish the project. • Customization: Customization is an important feature for most businesses considering each company has its own agendas, needs, and angles. Many free versions will not allow you to personalize or even fully control your calls, but the professional ones have these features on offer. Paid vs. Free, Why Pay at All? The reason of reasons to choose a paid versus free video conferencing service is quality. If you’re just having fun or trying to call your wife on Valentine’s Day, choppy conversations are ok. When you’re calling the CEO of a major corporation you are trying to merge with, nearing the end of a tremendous business deal, or attempting to clarify some points on the latest design project, poor call quality is just not an option. Businesses pay for conference calling because quality really does matter in this sector. Paid options deliver the kind of clear connections where you can hear what the other person is saying, there are no delays in sound or video, and the picture is always clear and never grainy. Additionally, reliability is of the utmost importance to a business video conference call. Just imagine being on the verge of closing that all-important deal when your connection fails. Frustrated by the waste of time and unimpressed by the lack of professionalism, your business venture decides in that moment of technical failure to go with your competitor instead. This is the kind of hiccup most businesses can’t afford—and the biggest reason for paying for a quality conference provider. These services ensure quality and reliable connections that won’t go down and won’t be interrupted by technical glitches. Not to mention the features you get once you pay. Things like scheduling, Outlook integration, in depth controls, mobile compatibility, customer support, and more, can make a tremendous difference to a business. Finally, an important feature for businesses to consider is the reach and depth of the conference calling abilities. Free services often will not have the capabilities required for mass global calling, limiting your reach considerably. Professional, paid-for options on the other hand, allow you to expand your business reach and influence into the global market without costing exorbitant amounts. The better services have multi-language setups, local support, and the infrastructure to support multiple audio and video nodes from multiple countries simultaneously. Bottom line, free conference calling is a great option if you want to get all your siblings on a call together to wish Grandma a happy 90th, have an impromptu family meeting with your kids while you're away, or they're out and about, or to talk with friends who just never make it out of the house these days. For business purposes, you’ll want a more professional option. Delivering crystal clear conversation sound, video, and technology, state of the art features such as note taking, file sharing, and image uploading, service guarantees, customer support, and reliability you can depend on, paid video conferencing is really the only option for a business that wants to be taken seriously these days. 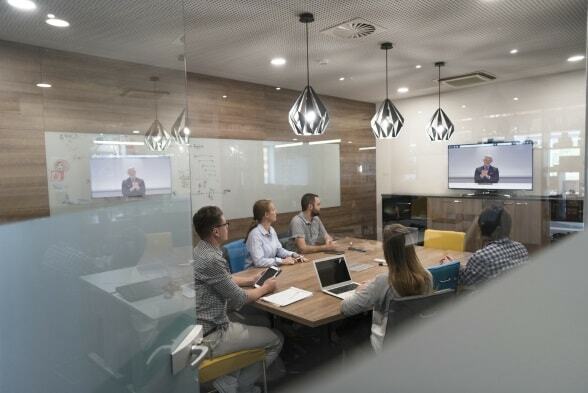 With competitive rates and reasonable plans, you can enjoy the convenience, innovation, and cost-savings of video conferencing for your business today. 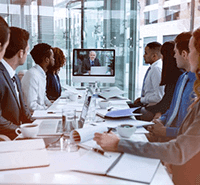 Want to learn more about business video conferencing and VoIP providers? Check out our expert in-depth reviews.